A Brief History of Stop-Motion Animation: "Neil Gaiman’s Coraline opens this weekend, and it’s directed by Henry Selick, one of the few modern masters of stop-motion animation. 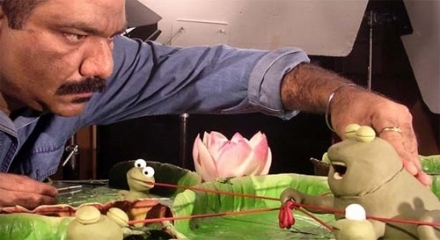 Although he was trained as a traditional animator, he really came to fame with stop-motion, having directed The Nightmare Before Christmas, James and the Giant Peach, and Monkeybone. In the day and age of everything being whipped up in CGI, it’s really a testament to see people work in a medium that requires hours of tedious work on films that can take an extremely long time to produce. Which is why the Sundance opening night film Mary & Max was such a treat."